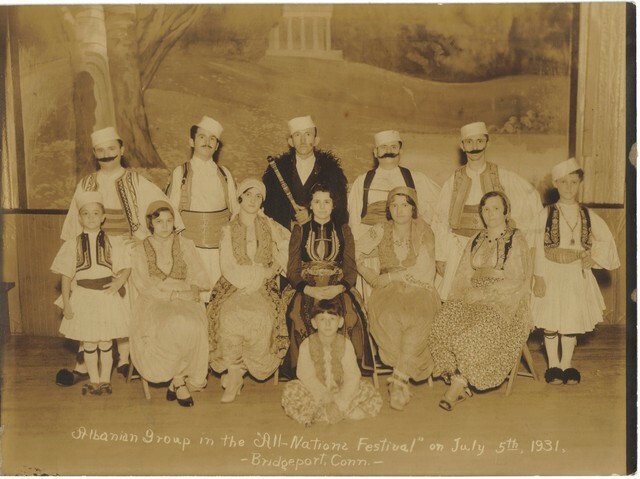 Another photo of one of the Albanian folklorico groups performing in the Bridgeport area. Date unknown. 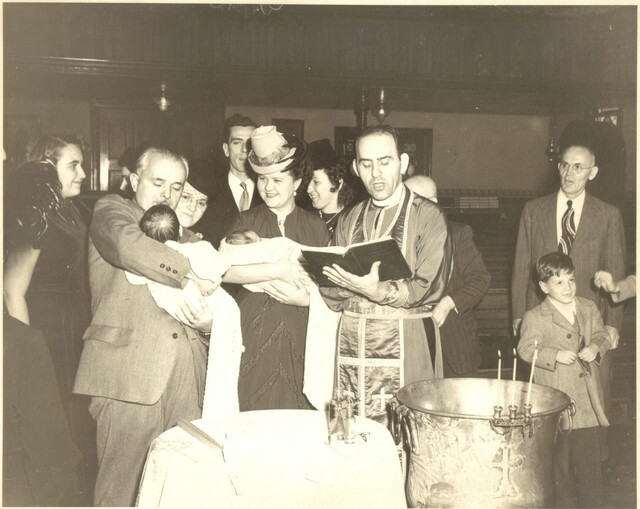 Father Christo Costa serving a baptism at the church on Howard Avenue, Bridgeport. Thomas and Catherine LaBache are the godparents. Date unknown. Photo of a celebration after a baptism. Date unknown. Left to Right: Fr. 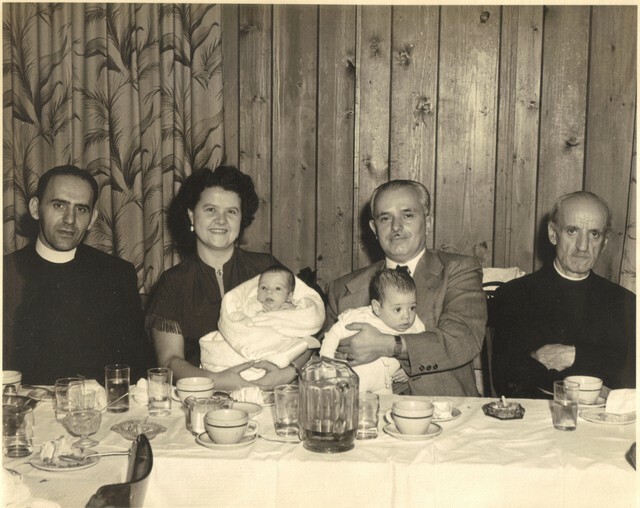 Christo Costa, the godparents Catherine and Thomas LaBache, and a unidentified priest. 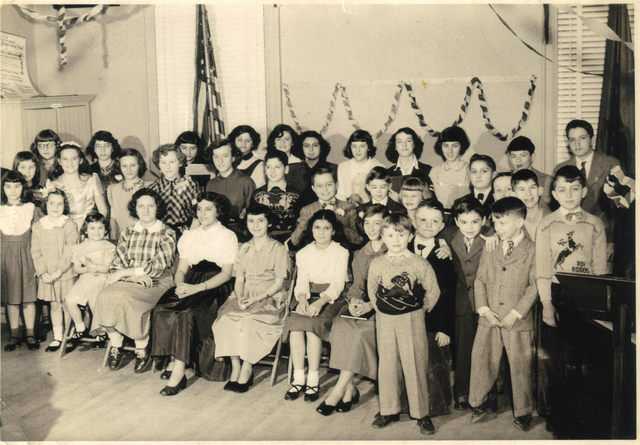 A photo of the parish Church School from Howard Avenue, Bridgeport. Date unknown. 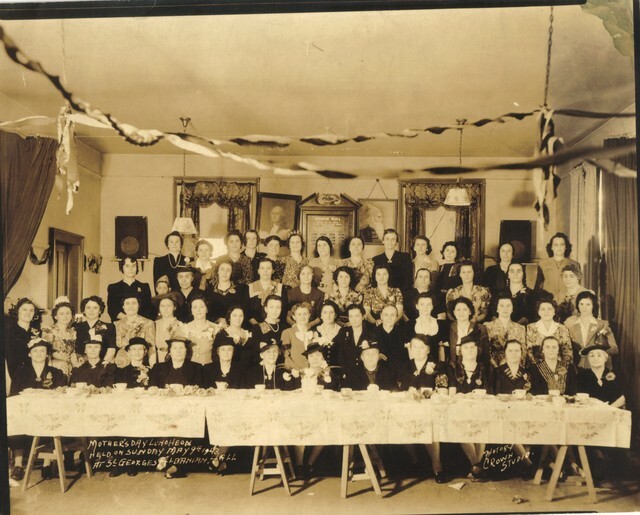 A photo of our World War II veterans shortly after the conflict's end at a special welcome home banquet. Date unknown. 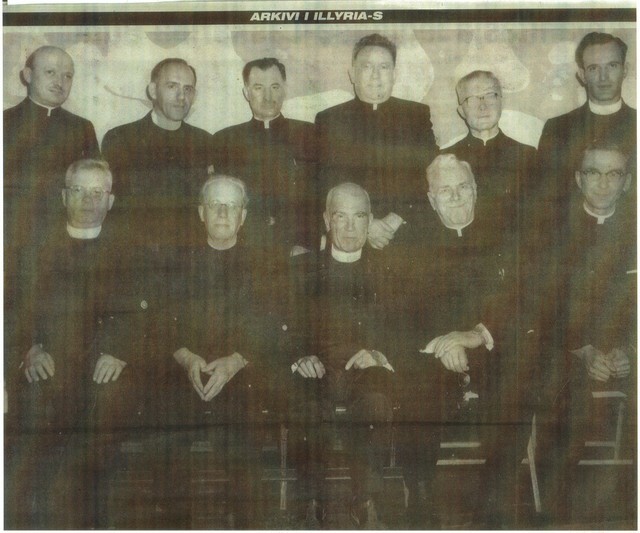 A gathering of diocesan clergy with Metropolitan Theofan ("Fan") S. Noli who is sitting in the front row, center position. Fr. 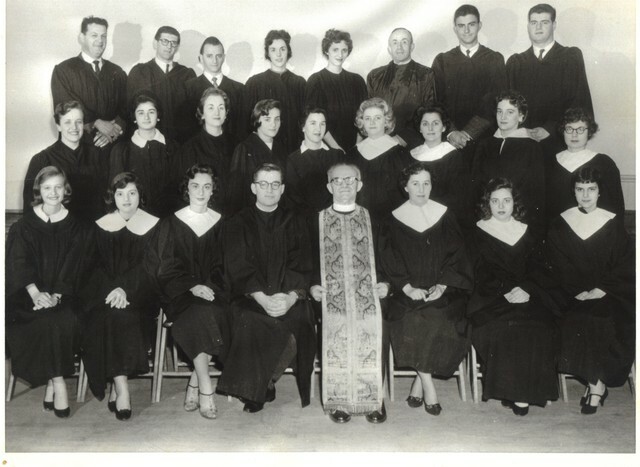 Christo Costa, former pastor from St. George, is standing in the rear, second from the left (he was the pastor at St. Thomas in Detroit, Michigan at the time of this photo). 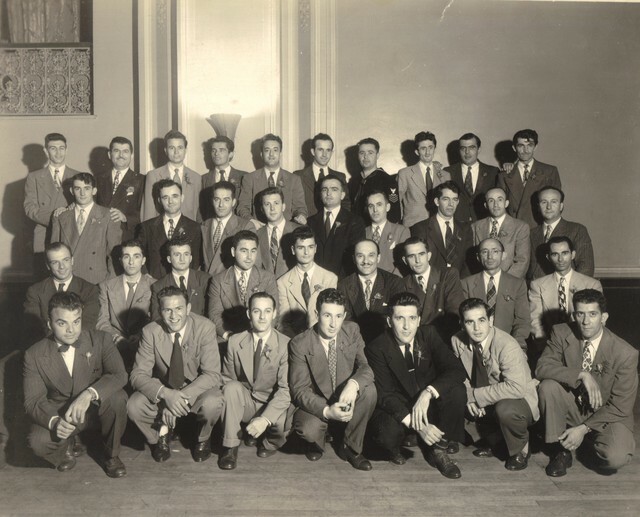 The photo was likely taken in Boston at an annual meeting of clergy or at an Annual Assembly in or around 1958 as part of the 50th year anniversary celebration of the Albanian Archdiocese in America. The Parish Choir with Fr. 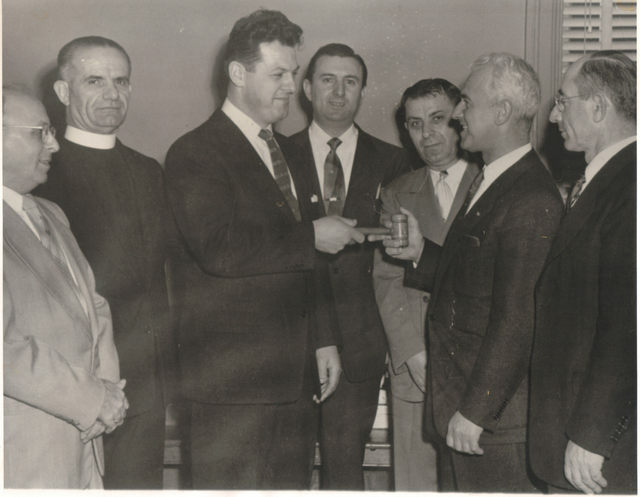 Alexander Kovachi at the Howard Avenue church. 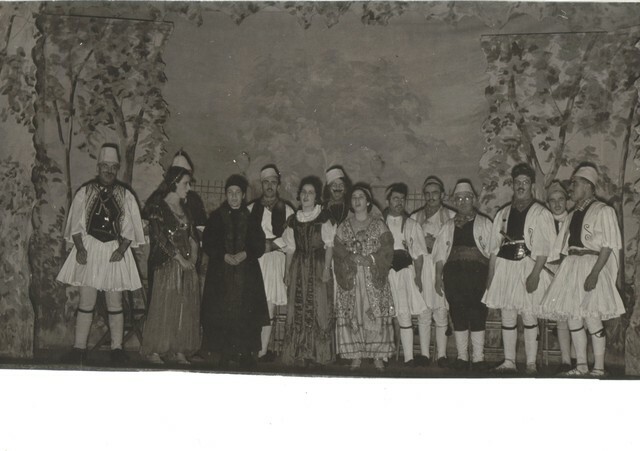 This photo was taken in or around 1958 as part of the 50th year anniversary celebration of the Albanian Archdiocese in America. Fr. 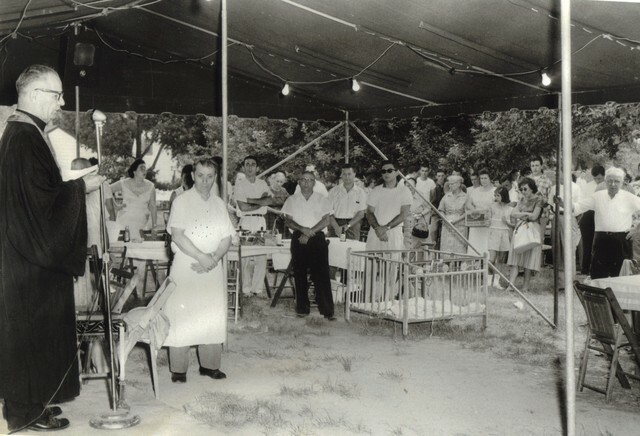 Alexander Kovachi leading a prayer at a parish picnic. Date unknown. A passing of the Church Council Presidency to Nicholas Adam with Fr. Alexander Kovachi looking on. Date unknown. 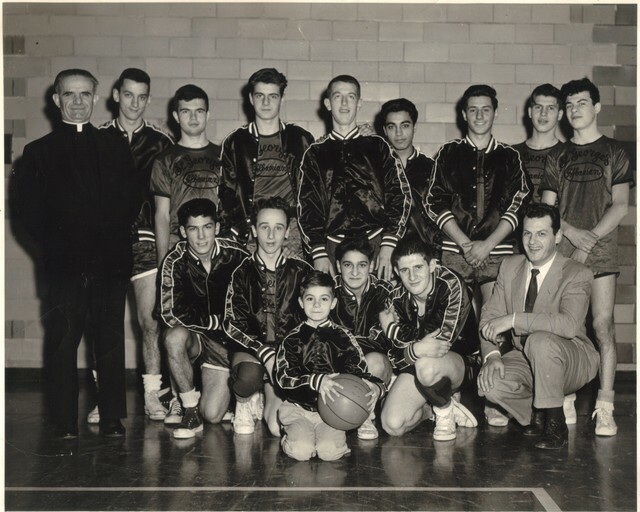 Photo of one of the Youth Basketball teams. Fr. Alexander Kovachi and Nicholas Adam flank the team. Date unknown.